Nevada should make The Unofficial Guide to Las Vegas the official guide to Vegas because there is not a better one. With insightful writing, up-to-date reviews of major attractions, and a lot of "local" knowledge, this book has it all. Compiled and written by a team of experienced researchers whose work has been cited by such diverse sources as USA Today and Operations Research Forum, The Unofficial Guide to Las Vegas digs deeper and offers more than can any single author. 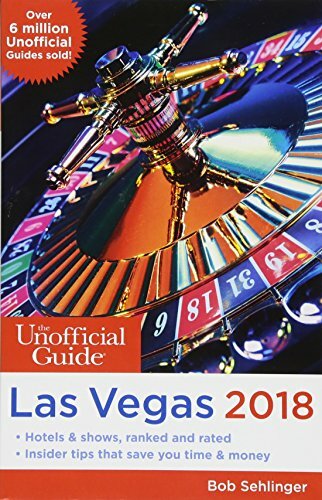 This is the only guide that explains how Las Vegas works and how to use that knowledge to make every minute and every dollar of your time there count. With advice that is direct, prescriptive, and detailed, it takes out the guesswork. Eclipsing the usual list of choices, it unambiguously rates and ranks everything from hotels, restaurants, and attractions to rental car companies. With The Unofficial Guide to Las Vegas, you know what's available in every category, from the best to the worst. It is the one guide that will put you in the driver's seat. The reader will also find the sections about the history of the town and the chapters on gambling fascinating. Every gambler should be required to read this book cover to cover before they spend a vacation contributing to the casinos all the money that it takes to run all those flashing lights. In truth, The Unofficial Guide to Las Vegas emphasizes how to have fun and understand the crazy environment that is today's Vegas. It's a keeper. Bob Sehlinger, a Lowell Thomas Award-winning journalist, is best known as the creator and producer of The Unofficial Guide series. He is credited with being the first to apply research techniques from the fields of operations research and statistics to travel guides. Among other projects, he was able to develop mathematical models that could save theme park patrons more than three hours of standing in queue in a single day. Bob Sehlinger is founder and co-owner of Keen Communications, a book publishing company that includes Menasha Ridge Press, Clerisy Press, and Wilderness Press. The author of 27 books, Sehlinger is a past president of the Publishers Association of the South, and has served at the invitation of the U.S. State Department and the U.S. Information Service on educational missions for publishers in Hungary, Romania, and Russia.